The V5 Robot Radio allows your V5 Robot Brain to communicate with other devices. 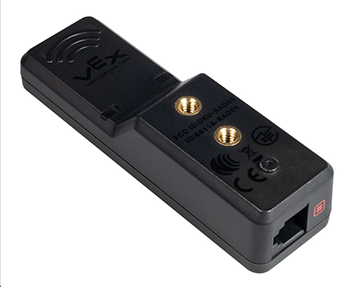 All wireless communication to the brain is done through the radio, including competition control and wireless activation of VEX Coding Studio programs. 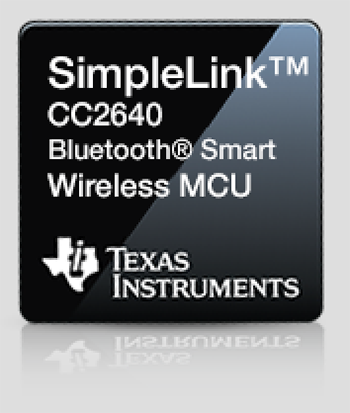 By utilizing the Texas Instruments' CC2640 Bluetooth Smart Wireless MCU, tablets will be able to download programs to the Robot Brain. This also allows connectivity to multiple devices at once, which allows for multiplayer practice modes accessible through the V5 Controller. Positioning the radio where it is surrounded by metal is not recommended as it increases the risk of a bad signal. Fortunately, this can be avoided with the V5 Robot Radio as it connects to the V5 Robot Brain via a Smart Cable. The two screw holes on the radio are positioned for easy mounting and dismounting. 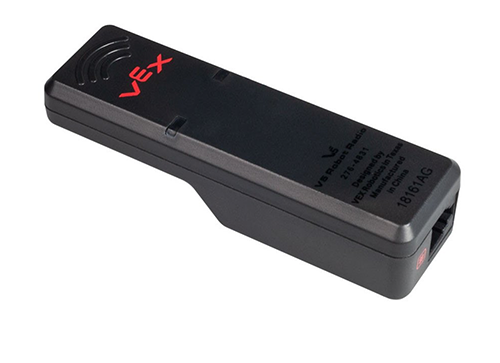 The V5 Robot Radio, powered by VEXnet 3 and Bluetooth, can be used for driving, downloading, and debugging. It also allows controllers to be tethered together for dual driver support. Looking forward, an app for iOS and Android is in development that will allow for remote viewing and control of the V5 Brain's Screen, essentially turning your phone into a sensor.